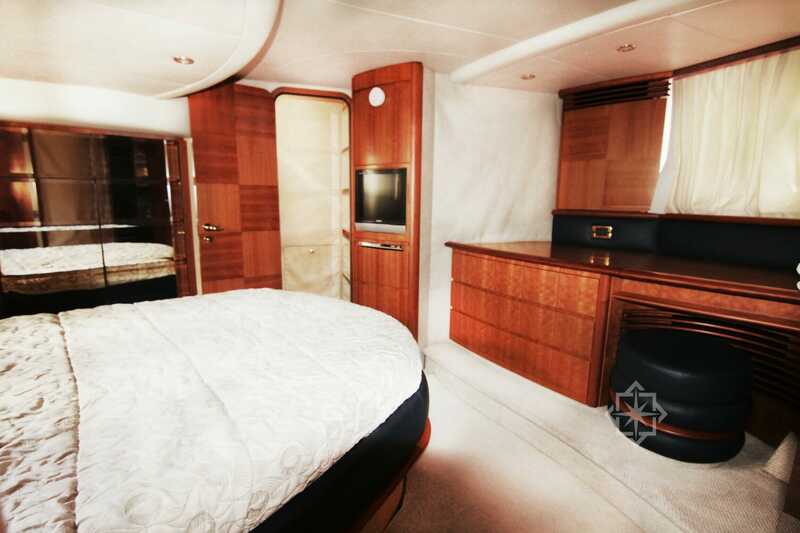 The 62 foot Azimut offers elegance, style and grace. 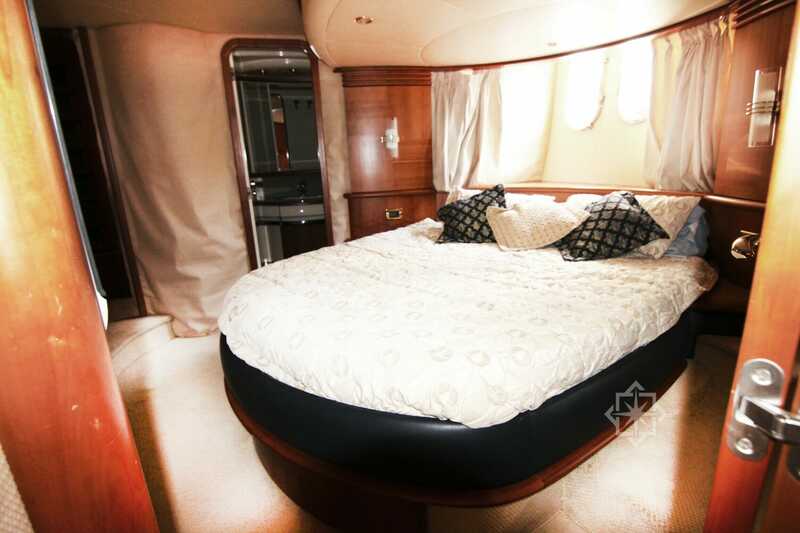 This Miami yacht charter accommodates 12 by day and 6 overnight. 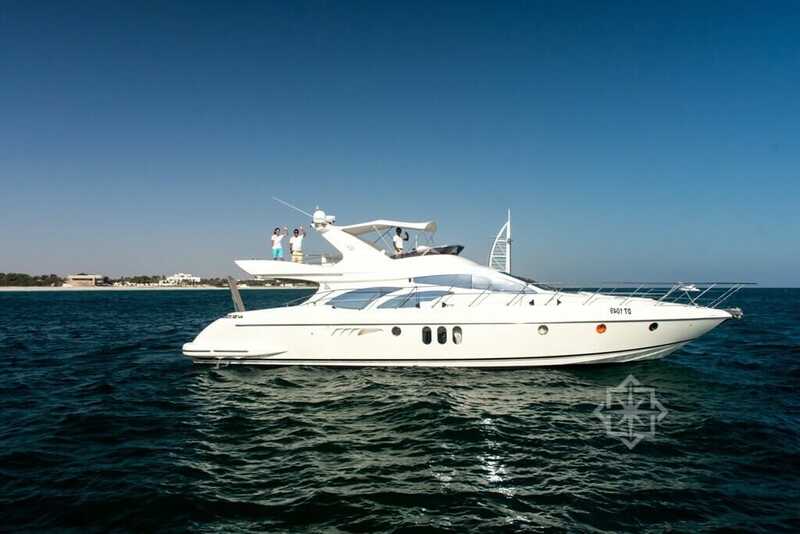 Ideal for those looking to rent a yacht for a day or overnight. 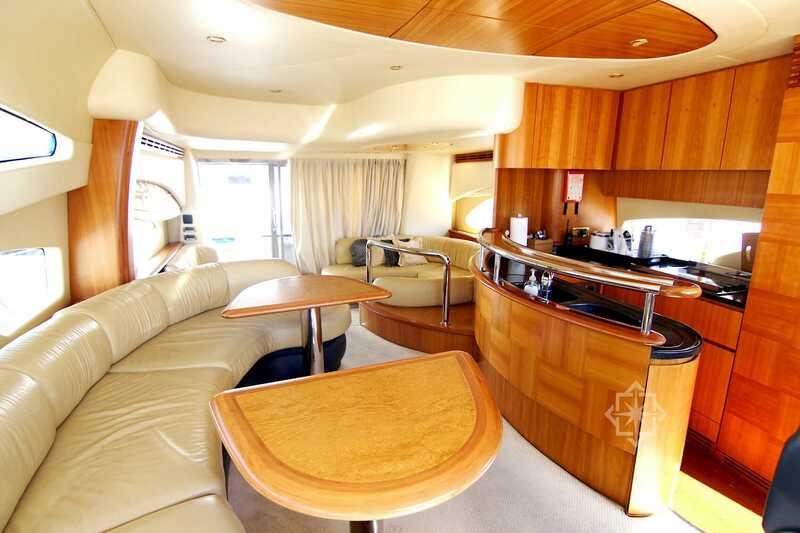 Her layout is spacious with the contemporary interior design that features rich wood finishes and plenty of comfortable seating and panoramic views. 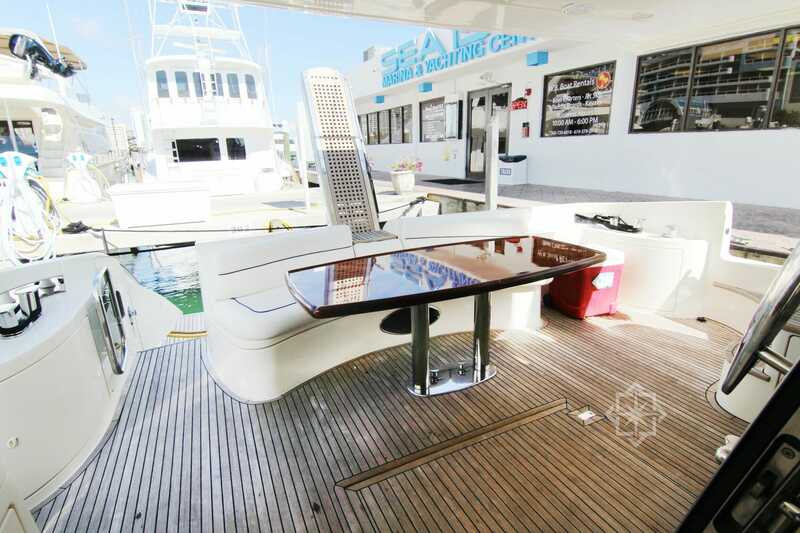 The 62′ Azimut Miami charter boat has a full galley and dining area that comfortably seats 6. 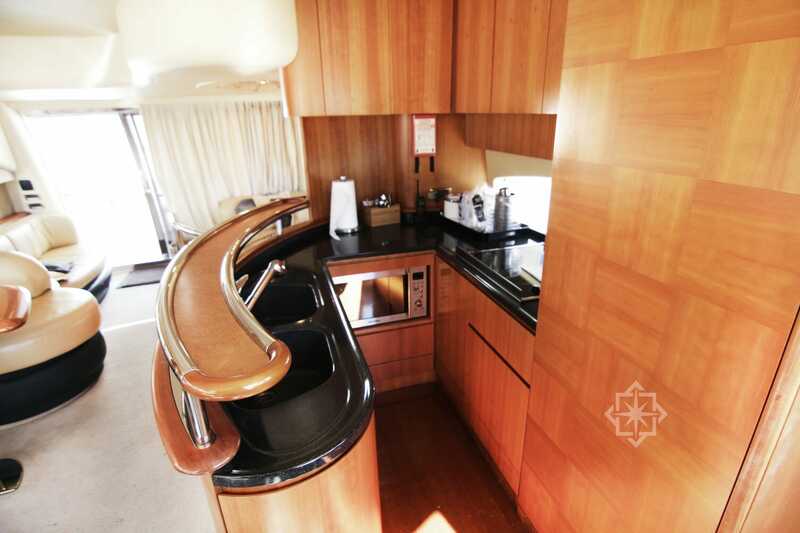 There are 3 well-appointed staterooms plus crew quarters. The master has a comfortable king bed, sitting area and ensuite head with shower. The other two cabins feature queen beds, plenty of storage space and ensuite head with shower. 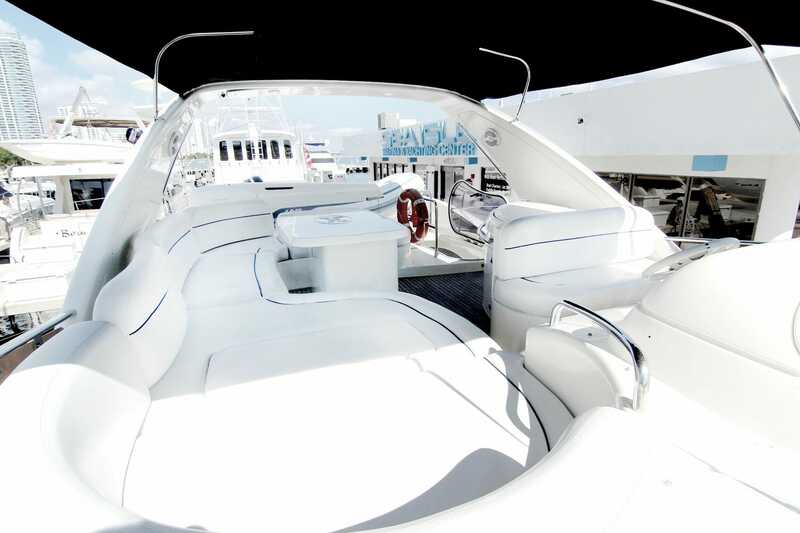 The flybridge is spacious with a wet bar, alfresco dinning area, and shade from the warm Florida sun. 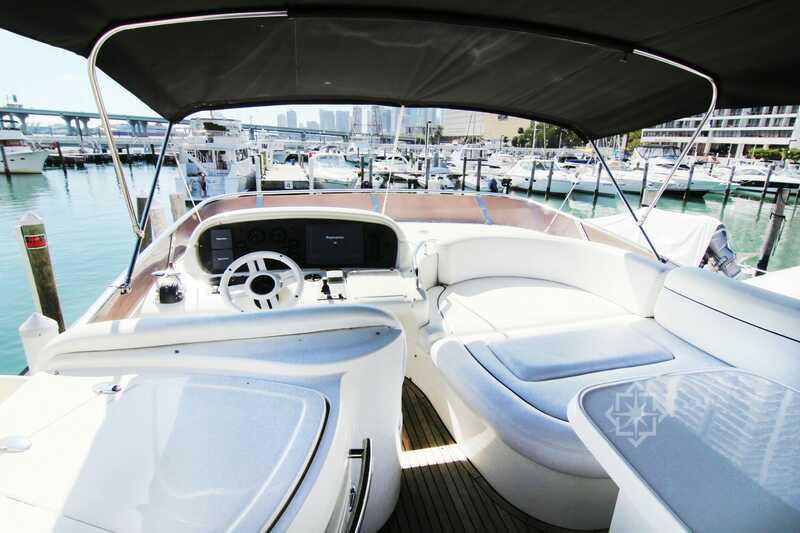 This beauty is perfect for a trip to Bimini or just cruising down beautiful Biscayne Bay. As one of the Miami’s leading yacht charter operators, StarLux offers discerning clientele the ability to rent a yacht for a day or more. We are your private yacht charter expert for first class private events on any yacht in our fleet. Sail in class and comfort on yachts from 34 feet to over 100 feet. We offer the world’s most luxurious yacht charter fleet here in Miami, Fort Lauderdale, the Bahamas, the Florida Keys and the Caribbean for you to select from.